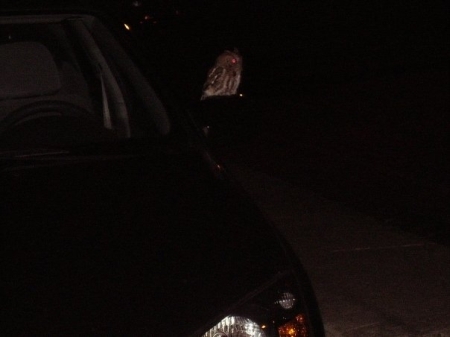 An owl on my car. In my building’s parking lot. Let’s see how many years it is before I do another of these.